This morning lacks the child. I recommend all, who have the opportunity, to visit Woodland Park and Divide, Colorado. The small mountain towns are friendly and unforgettable. After getting my fill of science I decided it was time to go home and get ready for computer class. Class was simple enough. Review the material presented before you and proceed with the assignment given. The rest of the day will be spent studying key terms for computer class and chemistry that will be reviewed tomorrow. Let the joy commence! The Giving of Thanks and Appreciation for Collaboration. I’d like to start this post with a big thank you. First off I’d like to thank J. for not only inviting me on a trip to see a mutually appreciated artist perform, but also for allowing me into his family’s presence. I’d like to thank his daughter for allowing me to stay at her home and offering hospitality. I’d like to thank Amon Tobin for his performance Thursday night at the House of Blues in San Diego. The sound quality was fantastic! Amon was generous enough to perform two encores after the scripted performance had ended and he took the time to thank everyone for attending and shook hands. This is an artist who understands inspiration. The willingness and sense of need to collaborate with other artists proves that he not only understands inspiration, but places high value on it. He understands the potential; true and positive potential of people. I’d like to thank Vello and the rest of V Squared Labs for all the work they put into the projection visuals. It was visually stunning and very immersive! The artistic world was never MY world. Like so many others, I was born into a world of bland monotony. Go to school or go to work then come home, eat, sleep, repeat. I thought that the artistic world was for people with college degrees or people born with natural talent. For most of my life I felt confused as to why I had trouble putting up with the nonsense of society’s day to day routine. Why was I unable to tolerate so much illogical action and policy put forth by society and the blue-colar work environment. Was there something wrong with me? Why couldn’t I fit in and just accept that things were done the way they are and be happy? Fortunately for me I have always had a strong sense of curiosity. Because I kept my eyes and ears open, and because I am willing to take risks and not allow fear to dictate my direction in life, I have found the answers to my questions. Go figure they were right under my nose all along! Stay Curious- without curiosity, we become stagnant. No you don’t know everything and you probably don’t know a fraction of what you think you do. Question everything, do research and never accept an answer that doesn’t make sense to you. Be Inspired- Inspiration is food for what we create. Maintain an open mind and there is no limit to where it can be found! Trust Your Intuition- My intuition told me there was more to life than getting a job, accumulating debt in return for pretty things, and starting a family. I was right! Accept Who You Are- I’ve lied to friends and family. I’ve used and manipulated people. I’ve done a lot of bad things in my life, but that doesn’t mean I must continue being someone I can not stand being. I put effort into being a good person every day now. Do not allow yourself to become a product of your immediate environment. Be flexible and you can mold yourself! Create- Many of us have heard the phrase, “We are a grain of sand in the winds of time.” Our expanding knowledge of the universe gives validation to that statement. Our minute size in the universe is nearly incomprehensible. Focus on that one puzzle piece of life and you may lose all sense of worth and purpose, or, like J. told me, “Understand that you are the director of how our constant motion in this world, this cosmos, is conducted.” Creation breathes purpose into our small, fragile, short life. Artists create because they are compelled to. Their creations inspire other people to create and become artists. 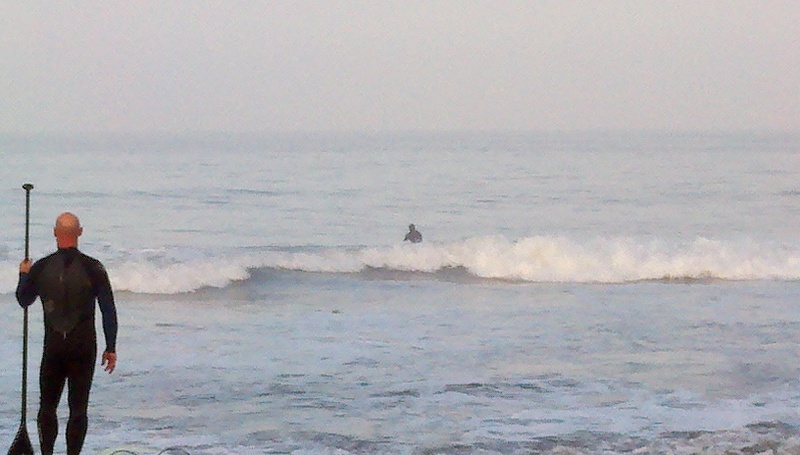 How great would it be if more and more people explored themselves and didn’t quit until they filled their void. Because so many people give up their dreams, a lack of collaborators for artists is created. I want so badly to collaborate with other musicians, 3D artists and film directors, but because the mass of society marches to the beat of a slaving tune, potential collaborators become hard to find. I believe that because we have entered the information age of the internet that the amount of potential collaborators is going to grow. Like most changes it will be slow, but the increase will be more significant than it ever has been. The world is a beautiful place, but that doesn’t mean it can’t become more beautiful. Change is good and there is always room for improvement! I was pleasantly surprised in how confident I was in answering the test questions of my CIS (Computer Information Systems) class today. Finishing the test as quickly as I did has left me with an hour of free time. I’m sitting in a computer commons now drifting through websites dedicated to keeping it’s users updated with the latest information regarding artistic creation. I’ve been searching for a good piece of software or freeware that deals with time management. Watching all these artists work, I often imagine they must be experts at organizing their time. My perception may be naive, but it makes sense to me. I believe if I want to maintain productivity in all tasks I give myself I must manage my time better. If anyone has experience with some sort of time management interface, I would greatly appreciate your time and advice! My newest musical production, Glitch 4.0, is now available for your audible pleasure or download via Soundcloud. Enjoy! 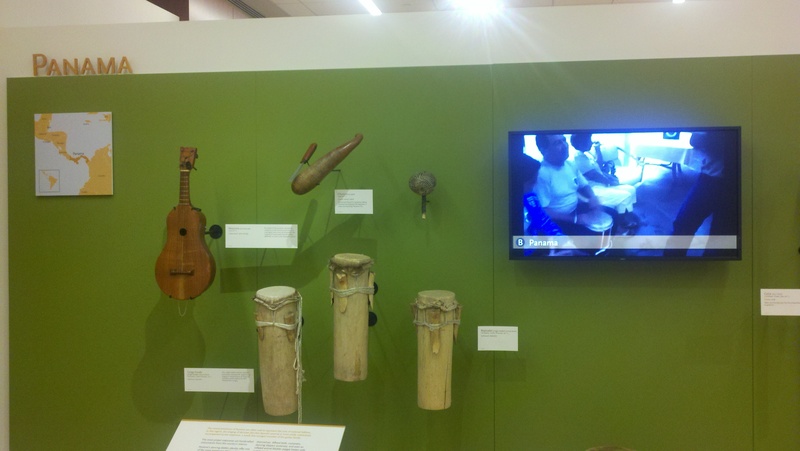 Today’s POTD is of the Panamanian exhibit at the MIM (Musical Instrument Museum). Panama holds a very dear place in my heart. I was fortunate enough to have the opportunity to visit there once a couple years ago due to the kindness of a very close friend. I spent most of the time in Panama City. It bussled like any other metro area. Seasoned, baked chicken with fried platano was a favorite of mine. During the weekend my friend showed me where she was from, a small town called Las Tablas. Her family was incredibly kind a hospitable to me. The people in general seemed very happy and friendly in the small towns. Today’s MOTW is Amon Tobin. Amon is a Brazilian native and has been producing electronic music since 2002. Amon combines a unique mixture of electronic sounds with jazz and native Brazilian music. His song, Nova, was a remix of Bebel Gilberto’s, Samba de Bencao. If you are new to Amon’s work I recommend looking into these 3 songs first, Slowly, Big Furry Head, and Verbal. He recently released a new album called, “ISAM,” and is promoting it now on tour. The reason I chose Amon as this week’s MOTD is because of his collaboration with V Squared Labs. V Squared Labs is run by CEO and founder Vello Virkhaus. Vello and his team have been producing projection visuals for famous musicians during their concerts for a good amount of time now, but they have never produced anything like what they are producing with Amon currently. With the development of TouchDesigner software they are taking 3D projection to a whole new level and revolutionizing the concert experience all together (at least for electronic music so far). Through the kindness of another friend I will be seeing Amon play live in San Diego this Thursday, so I’m sure you can imagine what I will be posting about then 🙂 Below you will find a link to a recording from The Creators Project. Within it you will see exactly what I’m talking about in regards to 3D projection visuals. You will also get a rare look into how Amon collaborates with other artists. I hope you find it as inspiring as I do! Enjoy! So yesterday ended up being a real treat. 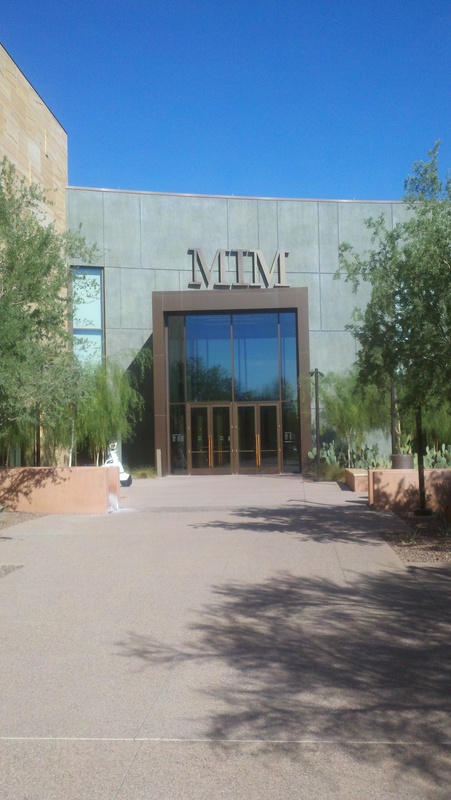 A friend and I ended up deciding after lunch that we should visit the MIM here in Phoenix. Niether one of us had ever been so it seemed like a good idea. $15 will get one adult admission and a set of head phones connected to, what I assume is, a bluetooth device that picks up a wifi signal playing each exhibits selected audio. 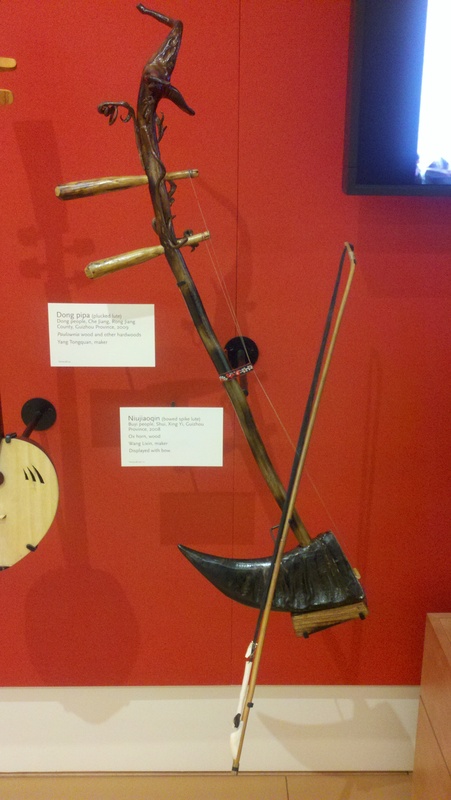 Each display in the museum has a television that plays various videos showing individuals from around the world playing their county’s traditional, or modern, instruments. The set up is genius because it allows everyone to enjoy the music, but not be bombarded with surrounding exhibit’s audio. 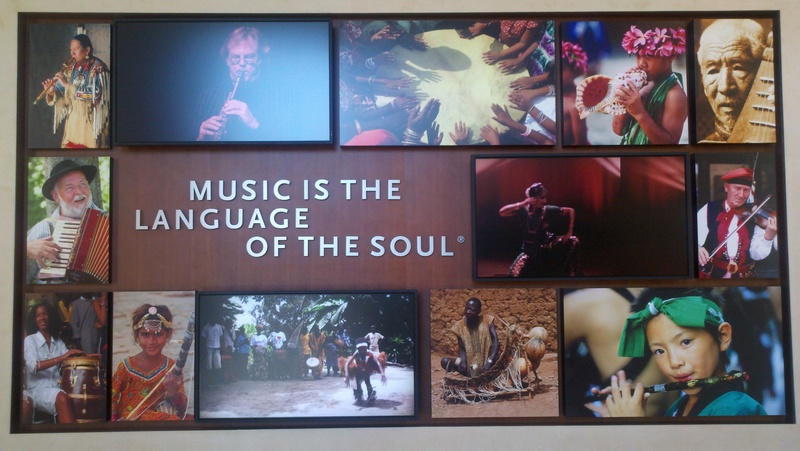 The museum covers music from all over the world. 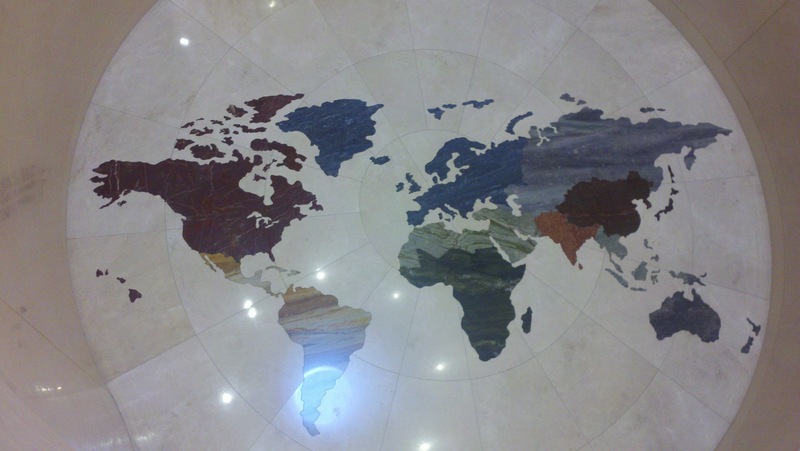 I began in Asia then moved to Africa and the Middle East. I was amazed by the overwhelming variety of percussion and stringed instruments. 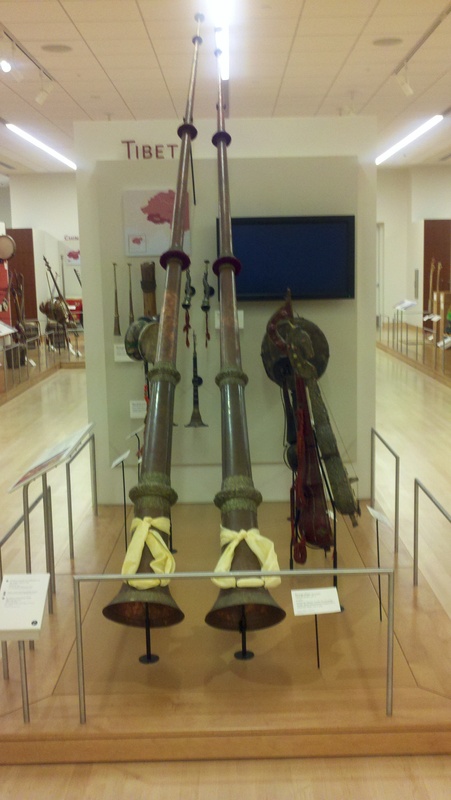 Some instruments displayed were centuries old. I then moved on to North and South America. I was blown away. I could easily spend all day absorbing mass amounts of knowledge and sound. 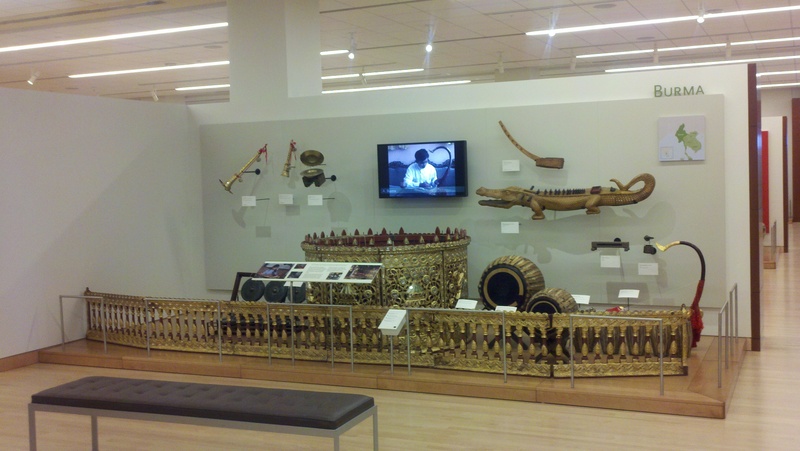 The MIM also has a room dedicated to hands-on experience with some of the instruments from around the world. This is where I really began to lose my mind! I was 5 years old all over again and nothing else in the world existed! It was truly an emotional experience watching videos of people in their native land, playing native instruments and completely losing themselves to the music they create. 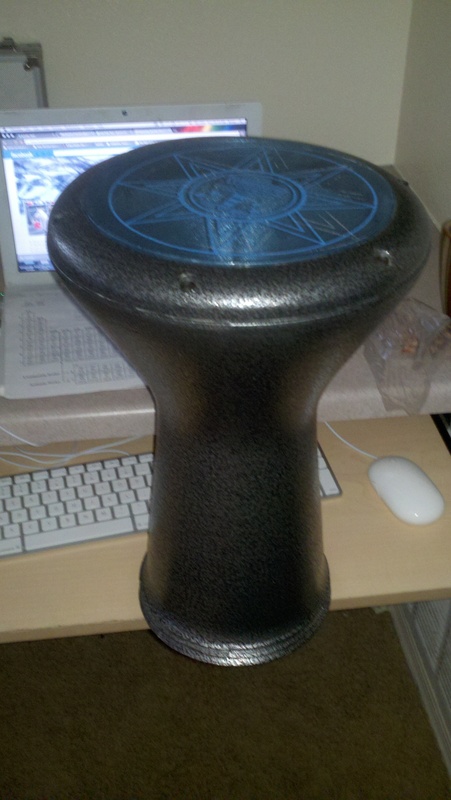 The experience was so inspiring I could barely wait to get home, open Ableton, and begin making something myself. The URL I’ve provided is to the MIM itself, so you can learn what you wish about it. Below are some photos I took with my Droid of various exhibits. I’d like to return sometime soon and take more photos to share. Perhaps I can talk a friend into allowing me to use his Canon T2i!